The euro's discontentment began in Greece, a country whose GDP is exceeded by that of many of our states. The late Milton Friedman predicted the demise of the euro within a decade and his prophecy is not far off as European experience is about to blow up. 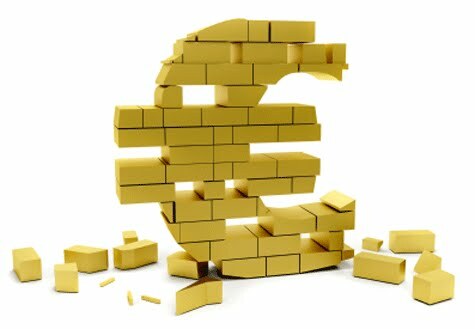 The euro was the experiment that was to unite all of Europe, the final effort to wipe out past history of wars and conflict. Instead, the experience is bringing back the conflicts and rivalries long thought buried. Greece leaving the euro may not be the final straw that kicks the whole euro experience down, but the collapse of Spain and the spread of banking failures to Italy will send the whole continent into a severe recession with an aftermath felt not just in Germany but in the United States and beyond. Greece's crisis began with decades of over spending and a welfare state far too liberating and far too expensive. Spain suffers from a real estate bubble and government running large deficits so the Spain banking system sits on the brink of collapse. There is not enough capital in Spain to recapitalize the banks, and help from the outside is needed. The question that now remains is whether there is enough capital in Europe to recapitalize Spanish banks and, if necessary, Italian banks that also sits on the brinks. Europe's coming collapse is coordinating with the collapse of the ruling class and rudderless leadership in much of Europe. Germany is the final linchpin to hold the whole experience together but many German voters are not all that interested in bailing out the rest of Europe. In the eyes of many Germans, Europe views Germany as their personal piggy bank and many Germans are no longer that interested in funding the welfare state of others where other Europeans work shorter hours and retire younger while the average German supports the whole edifice. The recent action of the new Socialist Party in France is but one reminder that leadership is missing as the first act the new French President and government did was to reverse the one major reform that Sarkozy accomplished; raise the retirement to 62 from 60. The French can’t even work an extra two years. Europe is our future and this election is in part about whether we want to avoid the fate of Europe before it is too late, or simply become a second tier nation, just one of many, as opposed to being the major economic superpower.